Each year, husband constantly reminds his Prairie Girl how much he dislikes Valentines’ Day. Why, you ask? Well, the long and the short of it is that he has an issue with feeling obligated to create a ‘HALLMARK MOMENT’ when someone else deems it necessary. Prairie Girl calls it his “BAH HUMBUG” syndrome. He pretty much feels this way about any contrived gift-giving celebration. Now don’t get the wrong impression, it isn’t that he resents giving a gift and a card, (although one might regard husband as somewhat frugal); its really about being expected to celebrate something that he hasn’t bought into. Prairie Girl understands his sentiments, but she does not let him off the hook when it comes to Valentines’ Day. You see, Prairie Girl has always been someone’s special valentine throughout her life, as it is her BIRTHDAY! Thus, there is an expectation to acknowledge Valentines’ Day with a celebration. 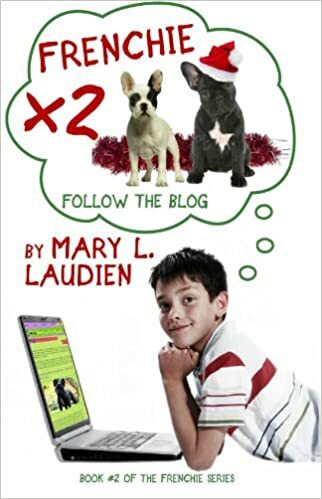 As the youngest of six girls, Prairie Girl was her sisters’ and parents’ special valentine. When she went to school, she was always given the task to hand out the valentines, as it was her BIRTHDAY, after all. Throughout the years, everyone has always remembered Prairie Girl’s birthday, and especially the big ones – the 30th, 40th, 50th, and 60th. She has had tv cameras show up in her school staff rooms to capture men in tuxedos delivering red roses and serenading her. 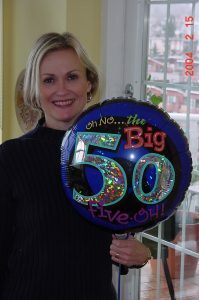 (This happened twice- when she turned 30 and again at 50, when the Parent Advisory Council arranged it.) You are sitting on pins and needles to find out what husband is going to come up with to top all the others. After all, this one seems to be the MOST SIGNIFICANT of all, as Prairie Girl is posed to become a SENIOR CITIZEN (Oh horror!)! 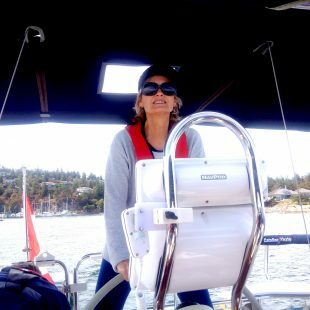 She will soon become a member of the club that doesn’t pay to ride the ferry on Mondays to Thursdays, she will be able to get senior discounts at Shoppers Drug Mart once a month,… you get the picture. ARE YOU READY? Okay, the answer is that they will be in NEW YORK and attending two shows- the new CHER BROADWAY SHOW and the popular BOOK OF MORMONS MUSICAL. Prairie Girl is thrilled and quite honestly, it is seriously helping her deal with this upcoming, life-changing birthday. Prairie Girl just keeps concentrating on her trip and forgetting about the downside of aging. 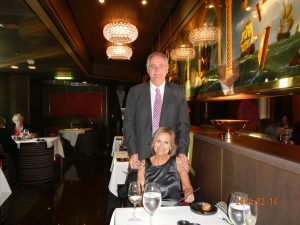 She thinks husband had an amazing solution to her VALENTINES’ DAY BIRTHDAY and she can’t wait to finally visit the BIG APPLE. Now that Prairie Girl has disclosed some of the angst and frustration that husband has dealt with to ensure that Valentines’ Day is acknowledged, Prairie Girl wants to make some gift suggestions to you. 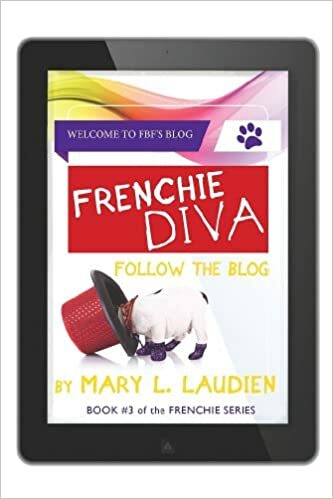 As you know, she has written a 3 volume Frenchie Series for Middle Grade readers – ages 8-12 (check out the blog roll on right side for Amazon links to books and for more info about the books, check out Mary’s Books above). 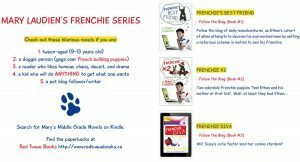 If you have children or grandkids in this age group, they will enjoy this love story that Ethan has with French bulldogs. It is a good gift alternative to filling up with chocolates and sugar. The other suggestion she has for you is a unique gift for all the Captains out there, as well as any crew (children and adults). 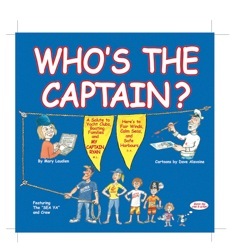 WHO’S the CAPTAIN? 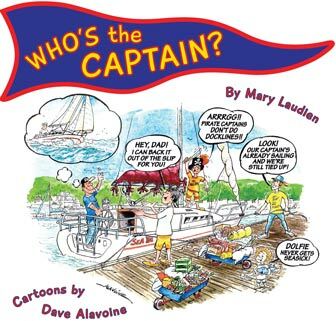 is a collection of nautical cartoons created by Pacific Yachting Magazine’s cartoonist- Dave Alavoine within the context of humorous family sailing trips. 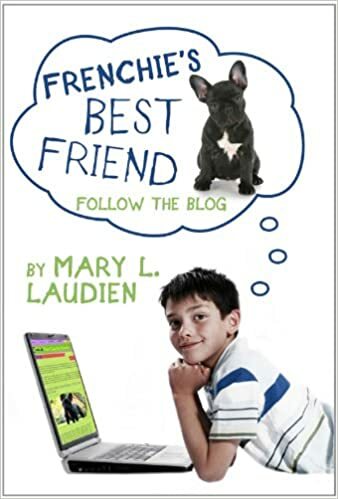 This book will be a hit with all boating families. GIve a little love….. HAPPY VALENTINES’ DAY EVERYONE! Hopefully this little post has alleviated any angst you may be experiencing as Valentines’ Day approaches. And, as always, leave a comment below. Prairie Girl truly appreciates hearing from her readers. Glad to hear my demise made your day,Sheila! This Senior’s Club is somewhat daunting… Oh well … at least I will have NEW YORK! Thanks for the birthday wishes, dear friend! commission to go shopping! At least he was thinking ahead! Enjoy NY and your birthday 🎂! Your KC is certainly a planner! I like his style. Now you are the one who will have Valentines’ Day angst- ha! The countdown is on, and we are thinking of him as the 8th approaches.